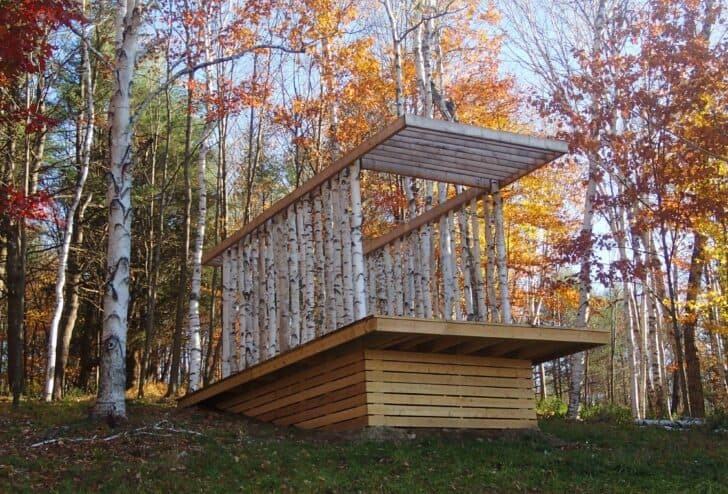 The Birch Pavilion sits on a platform composed of hemlock and pressure-treated timbers. 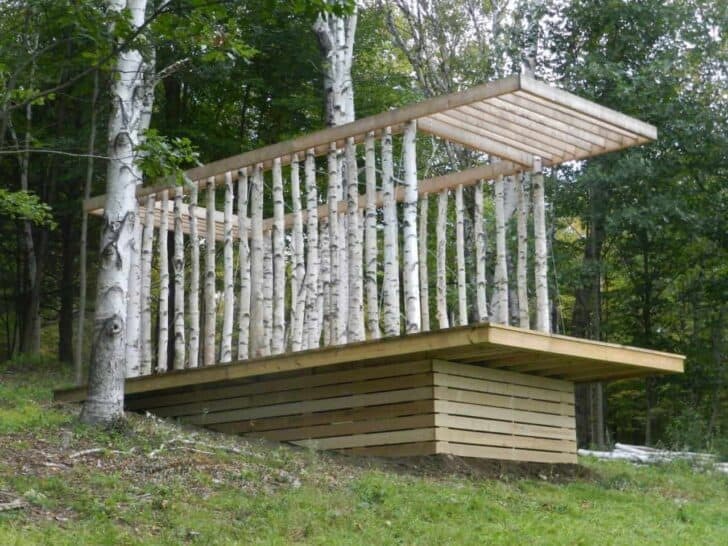 The Pavilion, is open to the sky, with overhanging rafters forming a vestibule at each end. Since its construction, it has been used for two memorial services, a mediation retreat, a yoga class and family gatherings. A small wedding is scheduled to take place there in the spring. This pavilion is located near Mt. 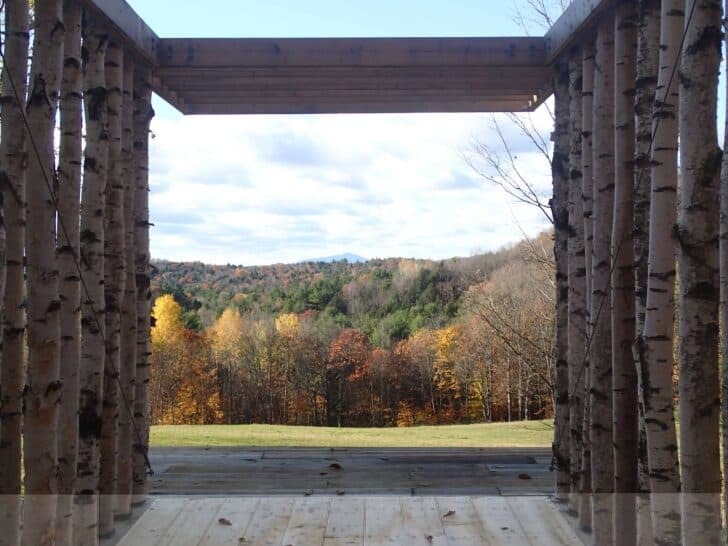 Ascutney, 25 miles away in Windsor, Vermont (USA). 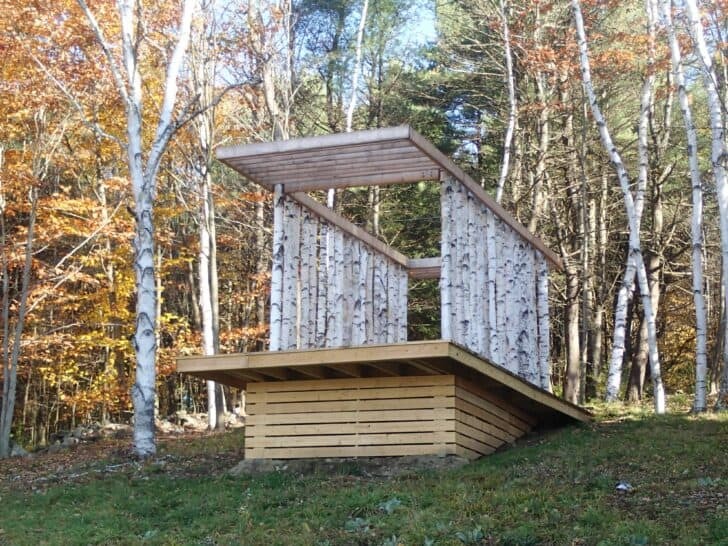 Photo courtesy of Moskow Linn Architects. More information: Dwell website ! alguien sabria desirme el nombre de esos arboles?? ?